Golden Globes round up – with a Hobbity slant! More filming pickups for May this year? 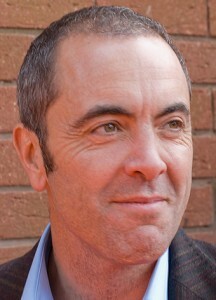 James Nesbitt (born 15 January 1965) is a Northern Irish actor. Born in Ballymena, County Antrim, Nesbitt grew up in the nearby village of Broughshane, before moving to Coleraine, County Londonderry. He wanted to become a teacher, like his father, so began a degree in French at the University of Ulster. He dropped out after a year when he decided to become an actor, and transferred to the Central School of Speech and Drama in London. After graduating in 1987, he spent seven years performing in plays that varied from the musical Up on the Roof (1987, 1989) to the political drama Paddywack (1994). He made his feature film debut playing talent agent Fintan O’Donnell in Hear My Song (1991). Nesbitt got his breakthrough television role playing Adam Williams in the romantic comedy-drama Cold Feet (1998–2003), which won him a British Comedy Award, a Television and Radio Industries Club Award, and a National Television Award. His first significant film role came when he appeared as pig farmer “Pig” Finn in Waking Ned (1998). With the rest of the starring cast, Nesbitt was nominated for a Screen Actors Guild Award. In Lucky Break (2001), he made his debut as a film lead playing prisoner Jimmy Hands. The next year, he played Ivan Cooper in the television film Bloody Sunday, about the 1972 shootings in Derry. A departure from his previous “cheeky chappie” roles, the film was a turning point in his career. He won a British Independent Film Award and was nominated for the British Academy Television Award for Best Actor. Nesbitt has also starred in Murphy’s Law (2001–2007) as undercover detective Tommy Murphy—a role that was created for him by writer Colin Bateman. The role twice gained Nesbitt Best Actor nominations at the Irish Film & Television Awards (IFTA). In 2004, he starred in the fact-based drama Wall of Silence as the father of a murdered boy, a role that gained him another IFTA nomination. In 2007, he starred in the dual role of Tom Jackman and Mr Hyde in Steven Moffat’s Jekyll, which earned him a Golden Globe Award nomination in 2008. Nesbitt has since appeared in several more dramatic roles; he starred alongside Liam Neeson in Five Minutes of Heaven (2009), and was one of three lead actors in the television miniseries Occupation (2009) and The Deep (2010). He also has roles in the movies Outcast (2010) and Emilio Estevez’s The Way (2010). Nesbitt is married to former actress Sonia Forbes-Adam, with whom he has two daughters. He is a patron of numerous charities and in 2010 accepted the ceremonial position of Chancellor of the University of Ulster.